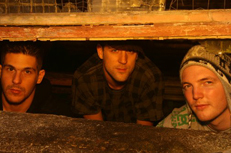 =AVE=, Olly G & Hi-Fly are 3 Cornish boys who spend their time throwing party's, partying, Dj'ing & making beats together in the Southwest of the UK under the title of the "Freerange Dj's". Tho they have only been Dj'ing collectively for the last 3 years they have individually been clocking up club time all over the country for years, holding residences at club nights of all different dance genres right across the board. 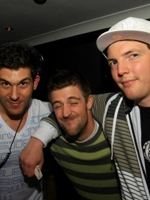 It was in 2007 where they really started stepping things up together, playing to crowds of 3000+ people at festivals and continually supporting some of the biggest names in Breakbeat, D&B, Hip-Hop and Electro they soon gained a reputation for really energizing the crowds at their events. Weather it be devastating dance floors, outrageous partying or just general "Cornish" misbehavior they have definitely created a wicked party vibe around the name "Freerange"
In 2009 they scooped up the 'Outstanding Contribution To SW Breakbeat' award at the Southwest Drum&Bass and Breakbeat awards at the Eden Project in Cornwall. This cemented their place within of the deep pool of talent that the SW of England has to offer the electronic world. Now under the wing of SW legends Ben&Lex/Ape Music, with A-List Artist remixes and signings from both sides of the world with future collaborations and remixes in the pipeline, The Freerange Dj's hope to be showcasing their own flavor of fidgety broken beats and driving sub-heavy wonk to the rest of the clubbing community. 2010 has already seen some great results for the boys. Their debut single on Ape Music 'Your Mind Your Passion' received plays in Radio 1's Annie Nightingale show, Jay Cunnings show on Kiss FM and was shortlisted in the 'Best Single' and 'Best Remix' category's at the 2010 Breakspoll awards (international breakbeat awards) wich is a massive achievement in itself. 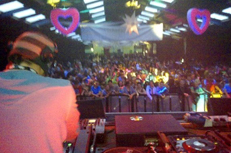 'Your mind your passion' was quickly followed up by another smash hit 'Back To The Old Jack' which topped the charts on every Dj download site worth a look, received top marks and reviews in every Dj magazine worth mentioning and recieved Dj support from the likes of the Plump Dj's & Peo De Pitte to name a few! A signing with the USA's AGENCY SOUNDS has now confirmed a tour of the US in the near future and a growing number of premium festival and top nightclub bookings for this summer are shaping up to make 2010 a year to remember. 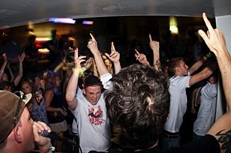 Early 2010 has firmly confirmed the Freerange Djs's as some of the freshest upcoming talent the Uk breaks scene has to offer!